Sam Calvert has been practicing law in St. Cloud since 1978. He is a graduate of William Mitchell College of Law in St. Paul, Minnesota. Bankruptcy: Sam was formerly a member of the private panel of bankruptcy trustees for chapter 7 and a chapter 12 trustee. His bankruptcy practice now focuses on representing people in financial distress and individual or small business creditors--not large corporations. Real Estate: Sam is a Real Property Specialist, certified by the Real Property Section of the Minnesota State Bar Association. He has examined literally thousands of abstracts of title to land in Central Minnesota. He enjoyed teaching a class at St. Cloud State University, and hopes to do more teaching in the future. Amanda Scharber was admitted to practice law in Minnesota in 2018; she grew up in Minnesota. 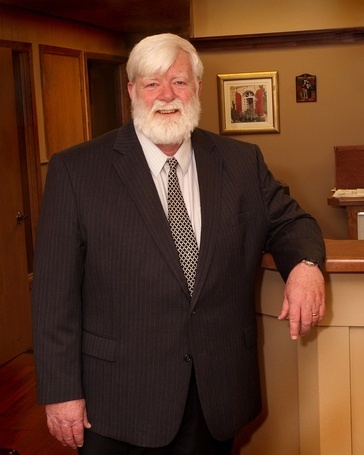 Sam Calvert, Attorney at Law offers bankruptcy solutions to clients across St. Cloud, Saint Joseph, Sartell, Sauk Rapids, Saint Stephen, Saint Cloud, Gilman, Rice, Holdingford, Stearns County, St. Joseph, Waite Park, Avon, Albany, Freeport, Richmond, Paynesville, Cold Spring, Roscoe, Rockville, Eden Valley, Watkins, Kimball, Fairhaven, South Haven, Annandale, Maple Lake, and Silver Creek, Minnesota. Call (320) 252-4473 for Bankruptcy Help!